1878 - Upton Sinclair, Pulitzer Prize-winning muckraking novelist, nonfiction author, politician, and journalist. 1884 - William Maxwell Evarts Perkins (better known as Maxwell Perkins), well-known book editor whose authors included Ernest Hemingway, F. Scott Fitzgerald, and Thomas Wolfe. 1899 - Leo Strauss, German-born Jewish-American political philosopher and professor. 1922 - Edie Kerouac-Parker, American memoirist who wrote about being married to author Jack Kerouac and who was the basis for several fictional characters in his books. 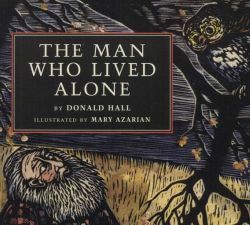 1928 - Donald Hall, poet, playwright, essayist, broadcaster, professor, and children's book writer who was U.S. Poet Laureate. 1928 - Carlos Alberto de Lacerda, Mozambique-born poet, artist, professor, and broadcaster who lived and worked in Portugal, the U.K., and the U.S.
1947 - Jude Deveraux, American author of bestselling historical and contemporary romance novels. 1948 - George R.R. Martin, American fantasy novelist, Emmy-winning screenwriter, and television producer, best known for his "Song of Ice & Fire" books and the "Game of Thrones" HBO series based on them. 1951 - A.A. Attanasio, American science fiction and fantasy author. 1954 - Judith Thompson, award-winning Canadian playwright whose plays confront the horror and violence of modern society. 1963 - Joseph Victor O'Connor, Irish novelist, short-story writer, and journalist; his sister is singer Sinead O'Connor, and his wife is novelist and screenwriter Anne-Marie Casey.